The liver is your body’s workhorse. It performs many functions including converting food to fuel, filtering harmful toxins, making proteins that help blood clot, and producing bile. Unfortunately, this powerful organ is susceptible to a potentially dangerous condition called fatty liver disease. Fatty liver disease occurs when fat builds up in the liver. It can be caused by drinking too much alcohol, but people who do not consume alcohol can also get the disease. When fatty liver disease is caused by factors other than alcohol, it is called nonalcoholic fatty liver disease, or NAFLD. Fortunately, there are many natural strategies that can protect and heal the liver. 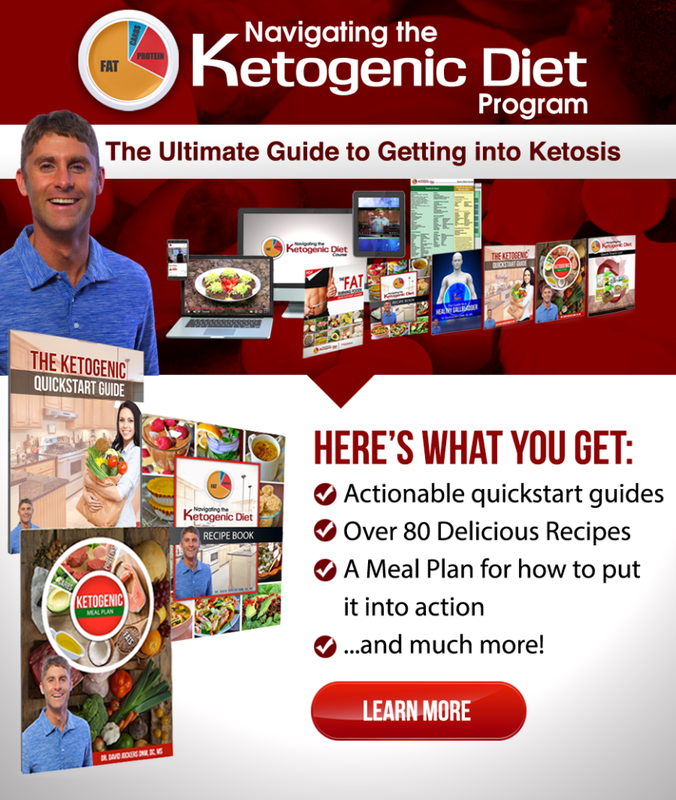 One of the most important strategies is following an anti-inflammatory, healing diet using ketogenic guidelines. You should include foods and herbs that support liver health in this diet. Other natural healing strategies for the liver are intermittent fasting, drinking plenty of water, reducing stress and improving sleep, dealing with your anger, using Epsom salt baths and castor oil packs, and adding liver supporting nutrients. Improving gut health, supporting stomach acid levels, and optimizing bile flow are all important for liver health. Why is a Healthy Liver So Important? The liver is your largest internal organ and one of the most important organs in your body. The liver is the body’s workhorse, performing many critical functions (1). Detoxification is one of the liver’s most important functions. The liver is referred to as the “gatekeeper” because it absorbs and filters everything we put into our bodies. After filtering, the liver clears harmful toxins and waste while retaining the nutrients the body needs. These nutrients are then converted by the liver into essential blood components and released when needed. Metabolizing fats, carbohydrates, and protein and balancing hormones are other functions performed by the liver. The liver helps oxidize triglycerides to produce energy. It also produces bile which is essential for digesting and absorbing fats in our diet. The liver ensures blood sugar levels remain constant by removing and storing sugar if blood sugar levels increase and releasing sugar when blood sugar is low. It also converts amino acids in protein for energy production and removes ammonia produced in the process. By removing pathogens and fighting infections, the liver supports your immune system. It also regulates and directs hormones to perform their proper function. With these many functions, it is critical to protect the liver from disease. It is normal to have small amounts of fat in your liver. However, when there is an excess of fat in the liver, a person has fatty liver disease. There are two main types of fatty liver disease. 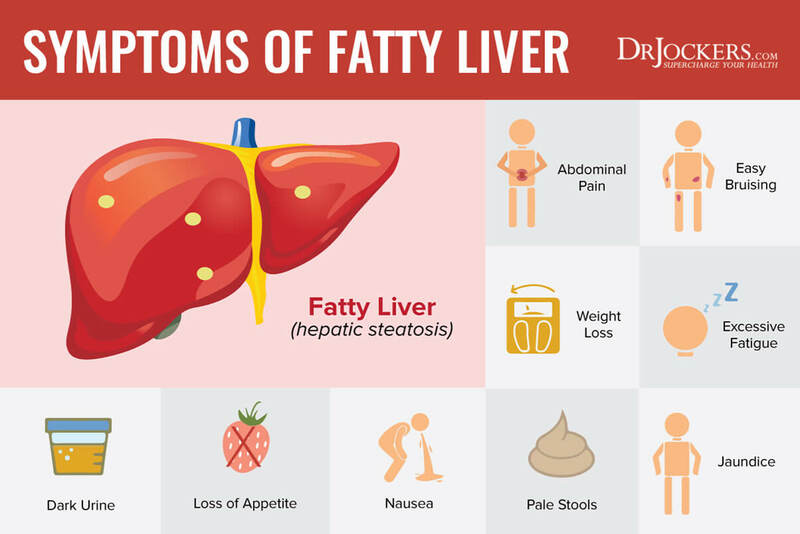 Alcoholic fatty liver disease, also called alcoholic steatohepatitis, occurs when the liver develops fat deposits from processing too much alcohol. The fat that cannot be metabolized is stored in liver cells. Chronic alcohol consumption also harms the liver by depleting glutathione, sulfur compounds, vitamins and minerals. When fatty liver disease is not caused by alcohol, it is called NAFLD. NAFLD is the most common liver disease. NAFLD is defined as the presence of fat in more than 5% of liver cells (2). Largely unknown prior to 1980, NAFLD is now one of the main chronic non-communicable diseases in many parts of the world (3). In the United States, NAFLD affects around 25-40% of American adults, 60% of whom are men. Rates of NAFLD worldwide have doubled during the past 20 years and are expected to continue to rise. Unfortunately, due to the increase in childhood obesity, increasing numbers of children are being diagnosed with NAFLD. Two types of NAFLD are simple fatty liver and nonalcoholic steatohepatitis (NASH) (4). Simple fatty liver means you have fat in your liver but no inflammation or liver cell damage. About 20% of people with NAFLD have NASH. NASH is a condition where there is liver inflammation and cell damage in addition to fat in the liver. NASH impairs the liver’s ability to function. Liver inflammation and liver cell damage can lead to scarring, or fibrosis, of the liver tissue. With continued inflammation, scarring spreads to take up more liver tissue. Over time, if the scarring is severe, a person can develop cirrhosis of the liver. Around 20% of people with NASH will progress to cirrhosis. Cirrhosis can lead to fluid buildup in the abdomen, swelling of veins in the esophagus, confusion, drowsiness and slurred speech. Cirrhosis also increases your risk of liver cancer and end-stage liver failure. Often people with simple fatty liver do not experience symptoms. If they do have symptoms, it is usually fatigue and pain in the upper right abdomen. Over time, more symptoms may appear. These symptoms include an enlarged liver, weakness, loss of appetite, nausea, weight loss. Once NAFLD has progressed to NASH or cirrhosis, symptoms include abdominal swelling, enlarged blood vessels just beneath the skin’s surface, enlarged breasts in men, enlarged spleen, red palms, and jaundice (yellowing of the skin and eyes). There are different medical tests that can be used to detect NAFLD. Individuals with NAFLD typically have elevated liver enzymes on blood tests and an enlarged liver may be seen with imaging. A liver biopsy can be done for a definite diagnosis. The prevalence of fatty liver disease parallels the rise in obesity, insulin resistance, metabolic syndrome, and type 2 diabetes (5). Many factors contribute to the increase in NAFLD. These factors include excess body fat (particularly abdominal fat), the Standard American Diet (SAD), and a sedentary lifestyle. A diet heavy in processed foods and refined carbohydrates can overload the liver and lead to NAFLD. A recent study found that sugar is the major offender when it comes to fatty liver disease. Diets high in sugar from sucrose and high fructose corn syrup increase the risk of NAFLD and NASH (6). Exposure to toxins is also common in people with NAFLD. One of the hallmark features of NAFLD is steatosis (7). Steatosis is a metabolic imbalance that occurs when the rate of hepatic fatty acid uptake from plasma and fatty acid synthesis is greater than the rate of fatty acid oxidation and export. Basically, this means there is an abnormal retention of fats within the liver cells. Steatosis is a significant factor for the development of NAFLD. Numerous diseases and conditions can increase the risk of steatosis and developing NAFLD. NAFLD is linked to insulin resistance, high blood sugar, and high levels of fats, particularly triglycerides, in the blood. Additional risk factors include obesity, type 2 diabetes, high cholesterol, metabolic syndrome, polycystic ovary syndrome, sleep apnea, hypothyroidism, and hypopituitarism (underactive pituitary gland). There are many natural strategies for healing fatty liver. An anti-inflammatory diet and lifestyle is critical. Following ketogenic guidelines can be very helpful. Other strategies are consuming foods and herbs that support liver health, intermittent fasting, drinking plenty of water, reducing stress and improving sleep, dealing with your anger, using Epsom salt baths and castor oil packs, improving gut health, including liver supporting nutrients, and supporting stomach acid levels and optimizing bile flow are all liver-healing strategies. One of the best strategies for preventing and healing fatty liver is to consume an anti-inflammatory, ketogenic diet. This healing diet removes foods that cause inflammation and includes organic, non-GMO vegetables, fruits, healthy fats and clean protein. To follow ketogenic diet guidelines, approximately 70% of calories should come from healthy fats, 20% from clean protein sources, and 10% from low-carbohydrate foods. 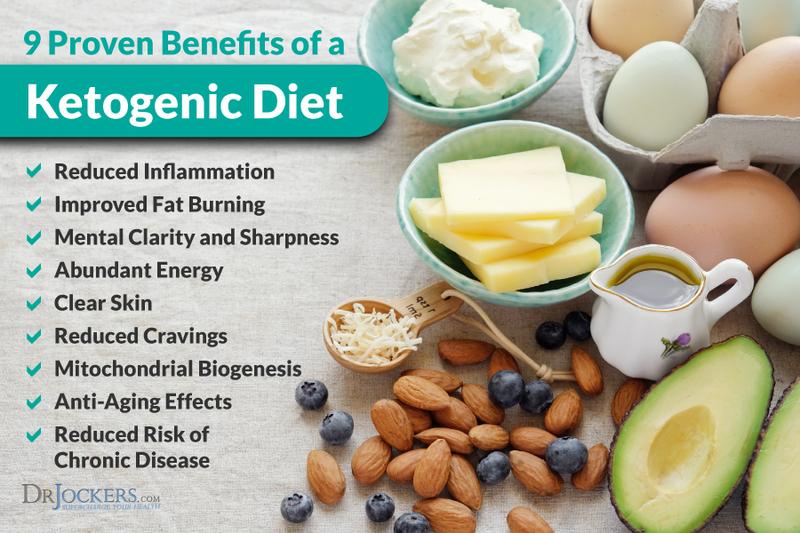 An anti-inflammatory, ketogenic diet reduces inflammation, stabilizes blood sugar, reduces toxic load, provides necessary nutrients, and supports healthy blood pH levels. Avoiding sugar is critical for liver health. As discussed earlier, sucrose and fructose are linked to NAFLD. Consuming refined sugars, along with grains any foods that are easily metabolized into sugar (high glycemic foods), causes a surge of blood glucose and large release of insulin. Insulin resistance is the most consistent underlying factor of NAFLD (9). Processed foods and vegetable oils, which often contain toxic GMO ingredients and trans-fats, should be avoided. Processed foods and oils are highly inflammatory and create extra acidity in the tissues. Excess amounts of omega-6 fatty acids found in refined vegetable oilscan promote the development of NAFLD (10). Meat and dairy from conventionally-raised animals and farmed fish also promote inflammation and contain large amounts of toxins. You should also avoid chemicals such as herbicides or pesticides by eating organic whenever possible. An anti-inflammatory diet includes whole, unprocessed foods. This diet consists of clean protein, organic vegetables and fruits, and healthy fats. Clean protein sources are grass-fed meats, pasture-raised, organic chicken and eggs and wild-caught fish. Abundant amounts of low-carbohydrate, colorful vegetables and small amounts of low-glycemic fruits should be included in a liver-healthy diet. Low-carbohydrate vegetables include cruciferous vegetables, leeks, shallots, cucumbers, asparagus, and leafy greens to name a few. Berries, grapefruits, limes, lemons, and granny smith apples are all low-glycemic fruits. Vegetables and fruits are high in anti-inflammatory antioxidants and phytonutrients which are great for liver health. You should also include plenty of liver-healthy herbs. Quality fats are a very important part of a liver-healthy diet. Healthy fats are found in coconut, olives, avocados, and their oils and in grass-fed butter and ghee. These healthy fats are an efficient source of fuel to combat inflammation and support the liver. Incorporating liver-healthy foods into the anti-inflammatory nutrition plan is great for healing the liver. One of the best foods for your liver is liver from organic, pasture-raised animals or wild-caught fish. 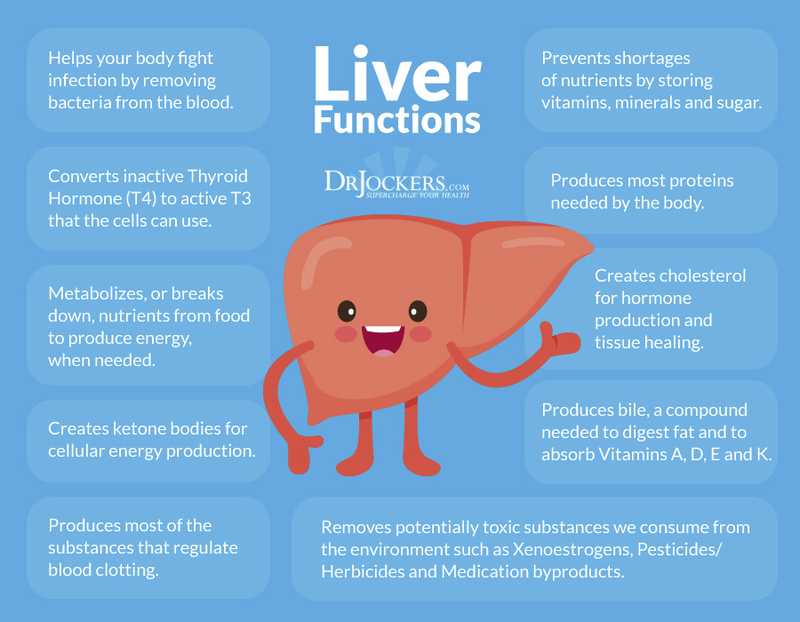 Liver is a concentrated source of bioavailable forms of nutrient complexes, including vitamin A, folate, iron, choline, vitamin B12, trace elements, and glutathione. Pasture-raised, organic eggs are also an excellent source of nutrients that support the liver. Cruciferous vegetables such as broccoli, Brussels sprouts, cauliflower, and kale are great for liver health. They help neutralized toxins in the liver with their abundant amounts of phytonutrients, carotenoids, and flavonoids. Broccoli has even been shown to counter the development of fatty liver disease and liver cancer (11). Cruciferous vegetables contain glucosinolates which increase the production of enzymes. These enzymatic reactions help detoxify the liver and increase its ability to remove carcinogens and heavy metals from the blood (12). Garlic also activates enzymes in the liver. Beets, leafy greens, and avocados are great for the liver. 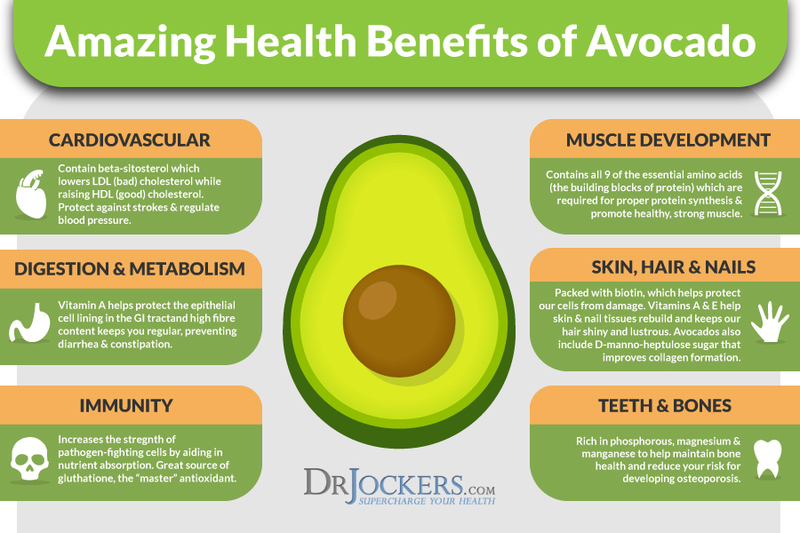 Avocados are an excellent source of glutathione which is needed by the liver to filter out harmful substances and protect liver cells from damage. Citrus fruits including lemons, limes and grapefruit, are great for the liver as are berries. Blueberries and cranberries are packed with powerful nutrients to support liver health. Both citrus fruits and berries protect the liver from damage (13). Fatty fish like salmon, coffee, green tea, olive oil and nuts have been found to protect the liver from NAFLD and NSAH (14). Omega 3 fatty acids in fatty fish reduce lipid accumulation and liver enzyme levels, improve insulin sensitivity, and have anti-inflammatory effects. Nuts may be helpful in treating people with NAFLD by improving lipid profile, hepatic steatosis and inflammation. Studies show that coffee is amazing for liver health. Coffee has a protective effect against the development of cirrhosis of the liver. There is an inverse association between coffee drinking and liver cancer (15). Coffee is even associated with a lower risk of death in people with chronic liver disease (16). Green tea and olive oil may improve liver enzyme levels and reduce oxidative stress and fat accumulation in the liver (17). Spirulina and chlorella are algae that are rich in protein, vitamins, minerals, and antioxidants. These algae support and enhance immune function and may protect the liver against damage. Spirulina is considered an effective treatment for people with NAFLD (18). Spirulina and chlorella contain chlorophyll which aids the liver in removing toxins and chelating harmful metals. Chlorella’s tough outer cell wall binds with heavy metals and other toxins to carry them out of the body. Hydrating with clean, filtered water is important for a healthy liver. Water is great for the body. It supports many functions of the body by improving oxygen delivery to cells, transporting nutrients, flushing toxins, and supporting the body’s natural healing processes. 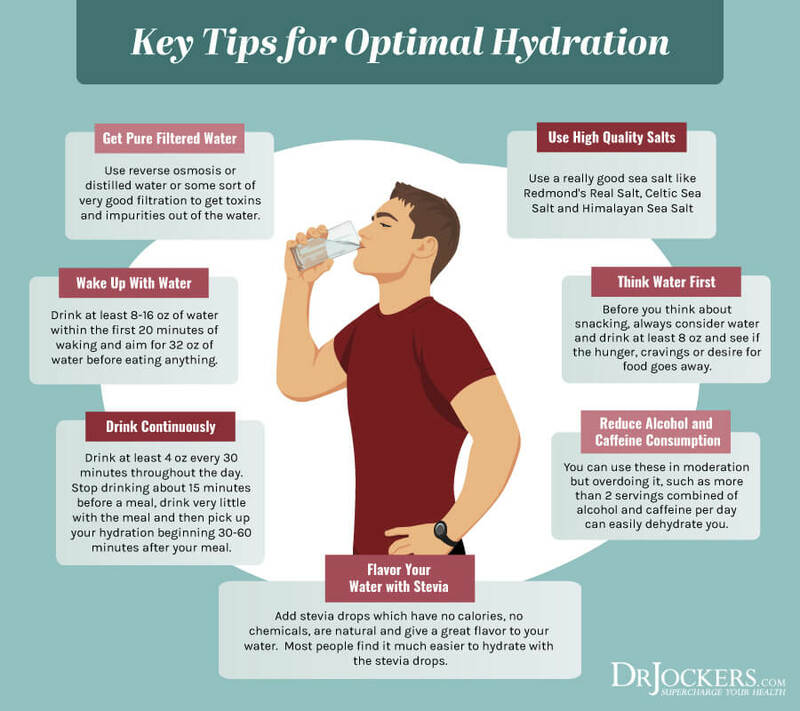 Optimal hydration is critical for healing the liver. To be well hydrated, you should consume at least one half and up to your full body weight in ounces of water every day. For example, a 130-pound individual should consume a minimum of 65 ounces and up to 130 ounces of water per day. A great strategy to ensure you are getting enough water is to super hydrate first thing in the morning. Drink 16-32 oz. of water in the morning, then drink water throughout the day. Bitter herbs are excellent for liver health so remember “bitter is good for the liver”. Bitters aid the body’s detoxification process. Herbs and spices such as milk thistle, ginger, dandelion root, cilantro, garlic and turmeric are great for liver health. Turmeric has been shown to improve liver function having both protective and regenerative properties (19). Turmeric may help reduce free radical damage in the liver. It also creates bile and helps our bodies digest fats. Milk thistle is one of the most well-researched plats for liver support (13). This powerful herb contains a flavonoid complex called Silymarin which is important for protecting cells against free radical damage and inflammation. Milk thistle is therapeutic for NAFLD patients due to its ability to repair cells within the liver and promote regeneration of injured tissue (20). It can also boost glutathione and superoxide dismutase levels, antioxidants which protect the liver from toxicity. One of my favorite ways to consume bitter herbs is in teas. Teas, such as EveryDay Detox tea promote healthy liver function. Chronic stress and lack of sleep can negatively impact your liver and overall health in numerous ways. Researchers have linked chronic stress to the development and progression of liver disease (21). Managing stress and getting adequate sleep for recovery is critical for a healthy liver. Following the healing diet and balancing your blood sugar levels are two effective strategies for reducing stress and optimizing sleep. Additional stress reliving techniques are grounding, deep breathing exercises, sunlight exposure, Epsom salt baths, and dry brushing. Strategies for better sleep are getting sunlight during the day, avoiding artificial light, blacking out your room with blackout curtains or using a sleep mask, and forming healthy sleep habits. It is important to turn off electronics, practice good hygiene, stretch, practice gratitude, journal, pray, and implement other healthy sleep habits It is also important to be smart about caffeine intake by using it early in the day in small quantities and cycling on and off caffeine. Supplementing with magnesium, such as Brain Calm Magnesium, may help the brain signal the body for sleep. Magnesium is an important micronutrient that plans a critical role in stress and sleep. In traditional Chinese medicine, each of the organs has an emotional component which is considered as important as its physical functions in the body. The emotion held in the liver is anger (22). In fact, the liver is often referred to as the “seat of anger”. If you get angry easily, have trouble unwinding, and are often irritable, your liver may not be functioning optimally. In the same way that a poorly functioning liver may cause anger, being angry may negatively affect the liver. Having prolonged feelings of anger or frustration that are unexpressed or suppressed can create disharmony in the liver. Experiencing these emotions chronically or excessively can cause the liver to be out of balance. Healthy expression of your emotions honestly and regularly is a good way to keep the liver healthy. There are many health benefits associated with intermittent fasting. Using intermittent fasting strategies can boost the immune system, stimulate cellular autophagy, improve genetic repair mechanisms, improve insulin sensitivity, and reduce the risk of chronic diseases (23). Studies show that fasting can help fight fatty liver disease (24). Fasting also helps the body open its drainage pathways by allowing the liver to cleanse the bloodstream. This takes stress off the gut because it does not have to work at digestion and helps the body burn fat. Start with a simple fast of 12 hours for 1-2 weeks and see how your body responds. This short fast is basically from dinner until breakfast the next day. You can increase your fasting time as your body adapts to not eating at certain times of the day. Improving gut health is critical for healing the liver and protecting the liver from disease. When the gut lining is inflamed and damaged, the gut lining is more porous than it should be. This allows undigested food molecules, bacteria, and fungi (and their toxins) to enter the bloodstream. Once they enter the bloodstream, these undigested particles and toxins head to the liver. They can put great strain on the liver causing inflammation and tissue damage. Following the anti-inflammatory diet as discussed above is a great first step to improving gut health. You can add gut-healing foods like bone broth and fermented vegetables. Supplementing with a high-quality probiotic with 30-100 billion CFUs is a great way to protect and heal the gut. I recommend ProbioCharge with 100 billion CFUs to improve gut health. Along with probiotics, you should use gut-healing nutrients such as aloe vera, L-glutamine, arabinoglactan, and licorice. All three of these nutrients are found in Gut Repair and can soothe the irritated gut lining and support a healthy gut. Using castor oil packs can support the body’s natural detoxification process by improving liver function, reducing inflammation, and strengthening the immune system. Castor oil is made up of phytochemicals including the fatty acid ricinoleic acid. Ricinoleic acid gives castor oil its unique healing properties and composes 90% of its chemical structure. A great way to use castor oil is to make packs that allow the oil to be absorbed through the skin. Castor oil packs promote digestion, elimination, and blood circulation around an organ and area of the body. They can also increase the flow of lymph, the fluid that circulates throughout the lymphatic system. This helps the lymphatic system remove debris and toxins in the body. These simple, yet effective, packs can be made at home with a few items. For details on how to make and use castor oil packs and when to avoid them, check out this article. Epsom salt baths have been used for hundreds of years by different cultures for their remarkable health benefits. They are different from other salts in that they are a naturally occurring pure mineral compound of magnesium and sulfate. These minerals can enhance the body’s detoxification process. Magnesium is the master mineral. It supports blood sugar balance, circulation, cellular energy production, bone density, pain relief, joint and ligament flexibility, deep sleep patterns and more. Epsom salt baths replenish the body’s magnesium levels and sulfates while removing harmful toxins from the body. Epsom salt baths are an advanced detoxification strategy with amazing health benefits. Proper functioning of the detoxification pathways in the liver requires certain nutrients. Getting these nutrients through foods and targeted supplementation is important for supporting liver health. During Phase I of liver detoxification, toxins are transformed into a chemical form for further metabolism in phase II. Nutrients required for phase 1 detoxification are B vitamins, folate, glutathione, antioxidants, carotenoids, vitamin E, vitamin C, and zinc. 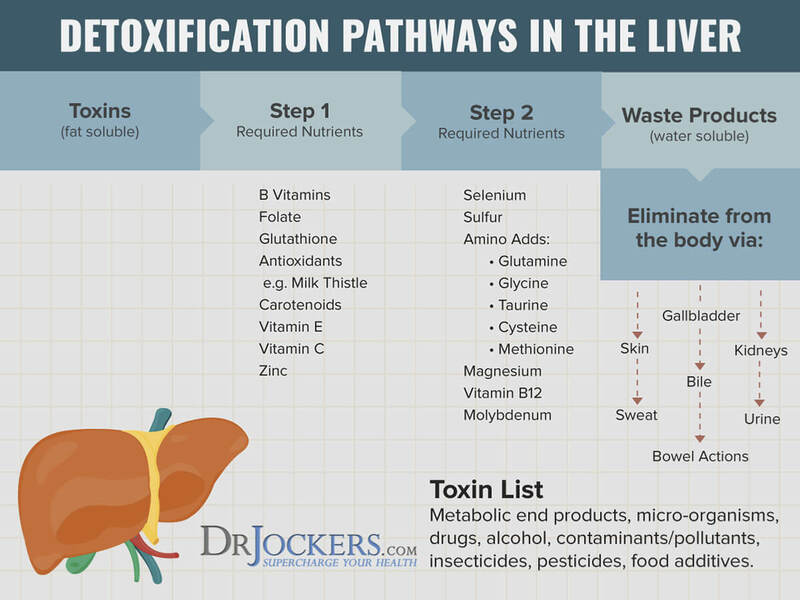 Toxins are conjugated into water soluble forms in phase II of liver detoxification. Selenium, Sulphur, magnesium, vitamin B12, molybdenum, and amino acids are key nutrients required in phase II. Phase III of the liver detoxification process is an enzymatic process where toxins are diverted for excretion. The nutrients that are required in Phases I and II are required for this phase as well. Targeted supplementation is important for liver support. ThyroLiver Protect contains several nutrients to support the liver including milk thistle, selenomethionine, alpha lipoic acid and N-acetyl cysteine. Milk thistle improves the liver detoxification process and helps to heal damaged liver cells. Selenomethionine, an amino-acid bound form of selenium, is key for phase I liver detoxification. Alpha lipoid acid and N-acetyl-L-cysteine boost glutathione and support phase II liver detoxification. Adequate stomach acid and good bile flow are important for a healthy liver. There are several strategies you can implement to support stomach acid levels and optimize bile flow. Stomach acid is necessary for digestion and nutrient absorption. Many people do not produce adequate levels of stomach acid and become nutrient deficient. This slows the transformation of specific toxins in the liver. There are several strategies to improve stomach acid levels. Stimulating digestive juices with ginger, fermented foods (such as kimchi and sauerkraut), and fermented drinks (like coconut kefir) can be helpful. Squeezing fresh lemon juice or apple cider vinegar on meat and vegetables can help pre-metabolize the food. Another helpful strategy for improving stomach acid is having liquid nutrition during the day with at least half of your meals in an easily digestible form. Examples would be a green juice or a protein shake. Timing your intake of water is important for optimal stomach acid. Drinking water with or right after a meal will dilute your digestive juices. Instead, you should super hydrate outside of meals. When having your meals, it is important to be relaxed. This is especially important for your largest meal. Eat your protein at the beginning of the meal and chewing each bite many times are additional strategies for improving stomach acid production. Supplementation can be essential for individuals with low stomach acid. A supplement with Betaine HCl such as Acid ProZyme can be taken during your meal for stomach acid support. Bile is a digestive fluid that is important for overall health. It is produced in the liver, secreted into the biliary tracts, and stored in the gallbladder. Bile has numerous functions in the body. It aids in digestion by emulsifying fats and creating fatty acids that can be absorbed and used by the body. Bile also has antimicrobial properties and can kill off unwanted pathogens. Good bile flow is necessary for toxin elimination from the body. In phase III of the liver detoxification process, toxins are transported out of the cells and into the urine or bile. 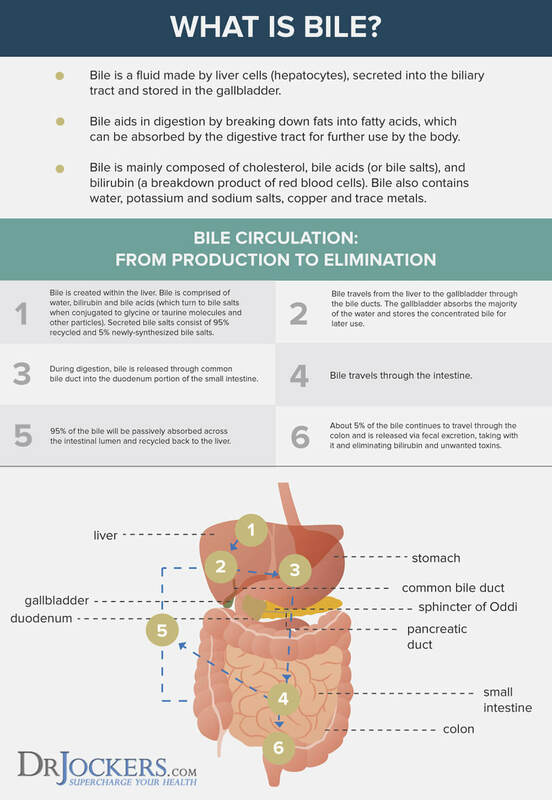 Bile contains waste products that are released through bowel movements. Poor bile flow can contribute to the accumulation of toxins and liver problems. Supporting liver function, gallbladder health, bile flow formation, and bile duct motility are critical for good bile flow. An anti-inflammatory diet high in healthy fats is critical for cholesterol production, bile production, and secretion. Super hydration, intermittent fasting, stomach acid support, and eating small meals can support the gallbladder. Foods rich in chlorophyll and high in fiber, as well as fermented foods, bitter herbs, broccoli and kale sprouts, can improve gallbladder health. Bile Flow Support is an amazing liver support formula that provides nutrients involved in bile flow and fat metabolism. Bile Flow Support targets lipid metabolism and supports healthy liver function. This supplement can be helpful for a sluggish gallbladder. The liver is the body’s most hardworking organ. It plays a critical role in many bodily functions, including regulating digestion, metabolizing fats, carbohydrates, and proteins, and removing harmful particles and chemicals from the body. When the fat in the liver makes up over 5% of the liver’s weight, a person has fatty liver disease. The two main types of fatty liver disease are alcoholic fatty liver disease and nonalcoholic fatty liver disease (NAFLD). Alcoholic fatty liver disease is caused by excessive alcohol intake. NAFLD is the most common liver disease. It is associated with obesity, type 2 diabetes, insulin resistance, and many other conditions. Often there are no symptoms associated with NAFLD. Over time, symptoms can develop such as fatigue, weight loss, loss of appetite, pain in the center or right upper part of the belly, nausea, and jaundice. When a person has fatty liver with liver inflammation and liver cell damage, it is called nonalcoholic steatohepatitis (NASH). NASH can cause a dangerous condition called cirrhosis of the liver. There are natural strategies for healing the liver. Following an anti-inflammatory, ketogenic diet incorporating foods and herbs that support liver health is critical. You should avoid refined sugars, alcohol, processed foods, trans-fats, factory-farms meats and dairy, farm-raised fish, and GMO foods. Eat organic whenever possible to avoid chemicals such as herbicides or pesticides. Other natural healing strategies for liver health are intermittent fasting, drinking optimal amounts of clean, filtered water, and adding liver supporting nutrients. Reducing stress, improving sleep, taking Epsom salt baths, using castor oil packs, and dealing with your anger in healthy ways can support liver health. Improving gut health, supporting stomach acid levels, and optimizing bile flow are also important for healthy liver function. Traditional peoples, Native Americans and early ancestral healers believed that eating the organs from a healthy animal would strengthen and support the health of the corresponding organ of the individual. For instance, the traditional way of treating a person with a weak heart was to feed the person the heart of a healthy animal. Similarly, eating the kidneys of a healthy animal was believed to support urinary ailments and overall kidney health… Pancreas was fed to people with digestive problems… and liver was fed to people with liver, blood and energy deficiencies. Grass fed, farm fresh is the best. Second best is a grass fed / grass finished desiccated liver supplement. Too much iron isn’t good for diabetes. Would the iron in the desiccated liver tablets be okay if you have diabetes? Yes it would most likely be a low level of iron. If you do have high iron levels, I recommend getting your blood drawn every 1-3 months to reduce it. Lecithin may help defat the liver fast. It was great help for me. No, you don’t need to consume all of those nutrients with each meal, but having a high level each week would be important! 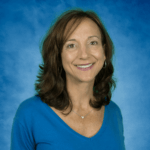 Dr Jockers, do you take appointments, do bloodwork , and make recommendations for reversing a fatty liver?